A monumental advertising campaign containing somewhat controversial teaser images introduced the gaming masses to a new and ambitious console experience. The Fallout universe was already near and dear to PC gamers, but its leap to the consoles brought the acclaim and fanbase the series deserved. For a single player experience, I don’t think I’ve spent as many hours on a game before or since and that’s including its equally enthralling successor New Vegas, or its shinier spiritual brother Skyrim – that’s why Fallout 3 is on our Big F’N Games list. Based in a post-apocalyptic, retro-futuristic Washington, the huge game world is littered with small struggling communes, mutated and irradiated creatures and mad max style bandits. This is all that remains from the Great War. For a game with so much content, varied different play styles and real consequences to your actions, Bethesda Softworks’ brave decision of giving no hand-holding or tutorial save for the brief zip through your childhood in Vault 13 – you’re free to make your own mistakes and get punished for them over and over. And over and over… In the age of linear storylines, endless cut scenes and over powered NPCs that plague the current glut of FPSs, it is rare to have a game where it is just as rewarding to simply survive by using patience and tact as it is blaze through the toughest opponents with an overpowered nuke. However unique my character ended up or my playthrough ended, it probably wouldn’t be far from the truth to say that my first experience with the Capital Wasteland was much the same as everyone else’s. After escaping/ being excommunicated from Vault 13, I emerged to a landscape looking like hell when the last fires went out. Given the quest along the lines of “Go to Megaton”, I (and I presume everyone else) walked in the opposite direction. Then was killed by some raiders. Reload and try a different direction. Then was killed by some low level mutated creatures. After a number of times reloading back at my starting vault, “Alright!” I said, and walked to Megaton. This was not a good start for me and I started to doubt my enthusiasm to continue playing through. And it never lets up like this; on and on you’re punished for not being stealthy enough, being vastly underpowered and painfully over-encumbered. But rather than push you away, every small victory completely overshadows the frustration of every failure; you are slowly trapped into the experience and learn to embrace the games ethos – soon enough you’ve lost untold hours. You’d better save and save often, as there is no worse feeling than getting randomly one-hit-killed and restarting from the door of the last building you entered or left, an hour previously. Given the size of the landscape and how much you have been larking about, this can equate to hours of lost progress. For a game that revolves heavily around perks, XP and levelling, you thankfully spend refreshingly little time feeling like you are grinding. A relatively low-level character can complete the main quest line whilst visiting a fraction of the locations in much the same way as a maxed-out Tank. This is something I would in no way recommend as so much of the delicious meat of this wonderful experience would be missed. Dodging to end and skipping out the side-lines means no companions quest lines, no unique gear and no best friend in Dogmeat! Another possible, but unadvisable style of playing is in a totally first person perspective. By refusing to use the VATS aiming system you’re left with a rolling landscape to unsteadily adventure through, vastly outgunned with your shaking iron sight against the dead eye of pretty much every hostile you’ll encounter. For every hundred meters you venture forward, you’ll retreat fifty; backpedalling from a feral group of unarmed creatures. Come up against a Deathclaw; forget it, you’re restarting from your last save. But even this less-than-perfect game mechanic can have its sublime moments – picking up a sniper rifle and banging a hidden headshot from a ridiculous distance is euphoria! Whipping out your Fatman and finally using one of your cherished nukes to vaporise anything in front of you in a huge mushroom cloud is up there with getting any top kill streak in a CoD match. For those more into reading their way through an adventure than plastering it with a substantial number of dismembered bodies, there is a shocking amount of dialogue throughout the game – allowing those of a political bent to try and talk their way to victory. The dialogue system in Fallout 3 is superior to that of New Vegas and not even the same league to Skyrim, neither of which has a real viable option of picking brains over brawn. Speech checks are closely linked to the Karma system, defining what missions you can take, which followers you can recruit and rewards you will retrieve. By showing compassion or detachment the remainder of the game will be changed. Talking of the remainder of the game, before the expansion pack Broken Steel there very much was an ending; one which was definitely out of the blue and ruined the finale of the game for a large proportion of players. I remember how infuriating it was to have a load of miscellaneous quests incomplete and a few experience levels to go to hit max, then I walked through a door, was confronted and easily outclassed by the villain and his bodyguards and then that was it. You picked an option to determine your ending and roll on credits. If you had a top level speech build, you wouldn’t have even had to fire a shot. All was forgiven with the aforementioned Broken Steel, which opened with a soap opera dream sequence (a la Dallas), where even though you were told you or your chosen NPC had died, Obsidian came at you with an apologetic “Only joking, you’re ok! Now get back on with whatever you were doing!” The game became completely open-ended and your level cap was raised. Another two or three DLC packs followed, with varying locations with their fitfulness matched only in the actual quality of the content. The add-ons really didn’t know what they were doing or what they wanted to be- none could really be counted as part on the game’s canon, equally none could be considered an outside story. Trying to shoehorn an alien adventure into a post-apocalyptic / pre-war setting while linking to a Hicksville, backwater swamp via a totalitarian prison city is no easy undertaking and probably easiest to not try and follow. However, bringing your bizarre obtained guns, amour and equally-wacky perks back to Washington is a fair pay off for the time invested. But a released game should stand alone and not have to rely on future updates and DLC to get the kudos it deserves and this is exactly what Fallout 3 does. Is Fallout 3 still worth playing? I love Fallout 3. This is obviously a popular opinion with all the Game of the Year awards it garnered and the risks the developers successfully took to make such a reassuringly understated adventure. Fallout 3’s sheer depth will quite easily allow you to forget about the glitches and freezes you most certainly will encounter and the dated textures are easily overlooked due to its charm and expansive size. Game of the Year editions complete with all DLC can be picked up for a tenner from your favourite internet auction site and you will not forget a play though. The style, the difficulty, the rewards and the storytelling have all been finely tuned to offer the gamer the pinnacle of what an RPG should be about; complete immersion. No matter how much time you’ve invested, you’ll always find something new to explore, and all of this to a cleverly ironic soundtrack you will affectionately remember for years after playing. 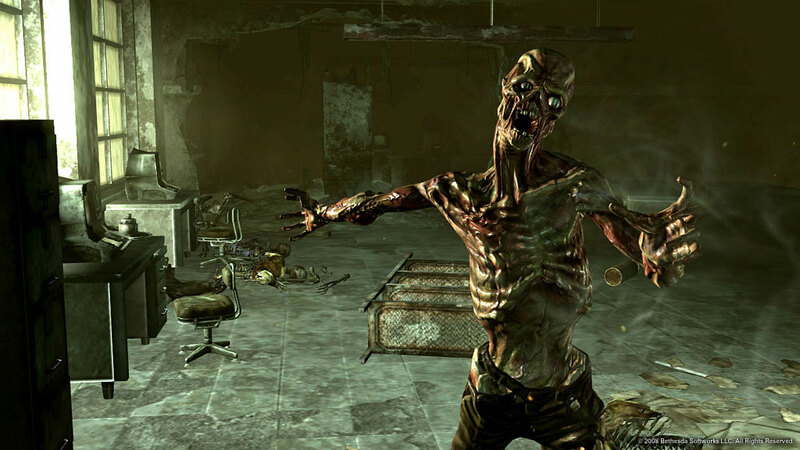 Fallout 3 is buggy, messy and sometimes disappointing. But damn it if it isn't still one of the most fun RPGs from the last ten years.